Jo Collins, through Sales Performance, works with business owners who want to develop their sales people and improve sales results. Tele Sales – Field Sales and Sales Management, Jo has a great blend of practical knowledge in addition to the theory of Sales and Sales Management. We work with a range of Organizations & Companies, interested in Growing Their Business, such as SME’s, Golf Clubs, & National Media Organizations in TV, Radio & Newspapers. We also work with Local Enterprise Boards & Chambers Of Commerce such as Naas Chamber Of Commerce, Wexford Chamber Of Commerce & North Dublin Chamber Of Commerce. We provide a range of Courses both in Professional Selling & Sales Management. We offer a very effective solution to SME’s whereby we become your Sales Manager. This is particularly useful in Owner Managed Businesses that have a number of Sales People & need to Manage the Sales People on a Weekly or Monthly basis. We also work with a number of Franchises & Franchising Organizations to enable their Members to Grow Their Business. We work with a number of National Hotel Chains to make their Sales People more effective. We provide Training for a number of Skillnets Programmes & work with The National Learning Network to help their staff become more effective in dealing with their Job Seekers. In todays market, for any Sales Professional to be successful, we can no longer rely on what once worked for us in the past. Customers and their buying habits have changed. Customers don’t need sales people to educate them on their products or services anymore. They want to work with partners that will provide ideas and solutions that will have a positive impact of their business. They want you to be invested in their business. They need thought leaders, that will challenge their own thinking. Focus on what your customer wants to happen , not what you want to sell. As a sales professional you need to be creative, bring value and build trust. Stay true to the sales process, be authentic and success will follow. In addition to Sales Training and Consultancy, Jo can also provide support in the Selection and Recruitment of Sales People and Managers . 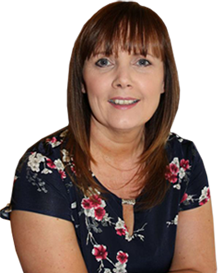 Jo has many years experience in interviewing and would be a strong advocate of using profiling as part of the recruitment decision making process. This tool can also be used as a skills audit for current sales teams in your business. In sales always recruit people with drive and motivation. The skill is being able to identify that in candidates. Once you recruit the right Sales People, Sales Performance will develop their skill & also evaluate your Sales Processes & through our Consultancy Process ensure that you are best in class. I have been involved in the judging process for the second year for the Media Awards. This is a wonderful event and a celebration of Irish talent in sales and marketing. I have been working with David Fitzsimmons, CEO of Retail Excellence Ireland for the last couple of years , and was privileged to judge their awards. The Retail Excellence Ireland Awards are the largest, most prestigious and recognised event in the Irish Retail Industry. Last year, I organized a charity ball, in aid of Cystic Fibrosis and raised over €22,000, where 330 people attended and supported this very worthy cause. I also volunteer with Crosscare Ireland. I have a passion for fitness, as I believe, in a healthy body, equals a healthy mind.